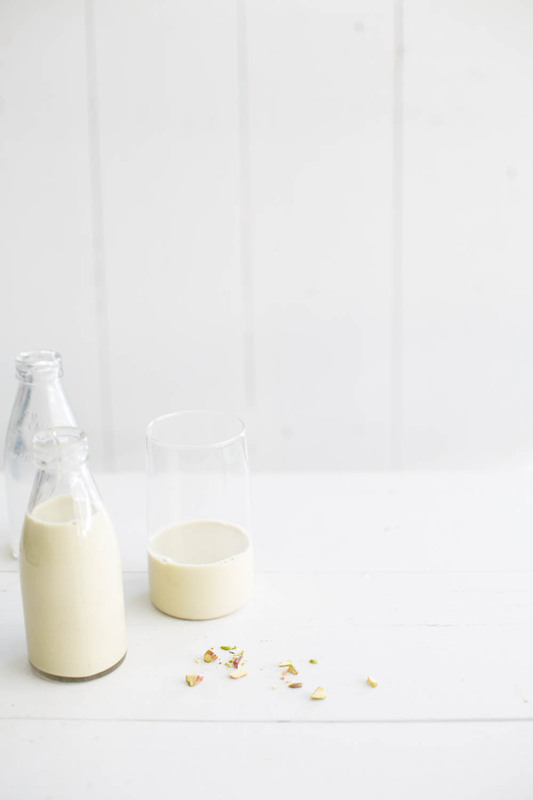 Whether it’s about allergies, intolerances or simply preference – nut milks are certainly here to stay. It seems that they’re not just in specialty stores and cafes anymore either, though in large chain supermarkets too. But what about making your own? Is it hard? Time-consuming? Only for ‘those’ people? And like pretty much everything that we make ourselves, the end result is superior in every way. I’ve been enjoying almond milk for some years now and I alternate between store-bought and homemade however the latter is always better and I put that down to two reasons. The first of which is freshness and the second being nut content. Where the average store-bought nut milk contains less than 5% nuts, homemade milk (my recipes anyhow), average out at 20%. I’m sure you’d agree that’s a huge difference? Why is this? I feel fairly confident that it’s a cost aspect. More nuts = more cost. The recipe for pistachio milk contained within this post makes 1L of milk and costs approximately $AU7.50. However pistachios are a more expensive nut, for instance the same volume of cashew milk would be around half the price. Additionally, I use a ratio of 1:4 where 1 is the nut content and 4 the water. I’ve tried 1:5 and 1:6 which yes does bring the cost down though in my opinion, also the result. And FYI – quality store bought nut milks with far less than 20% nut content hover around the $AU6 mark. 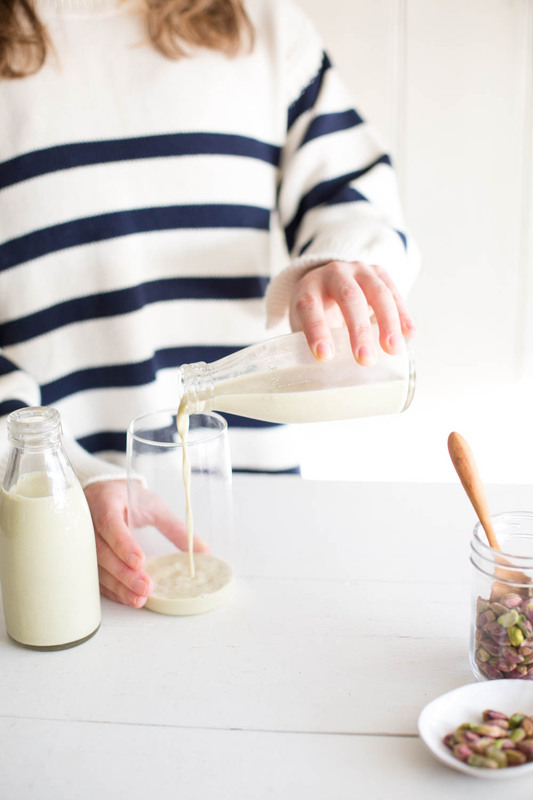 Homemade nut milks are creamy, delicious and well worth making. 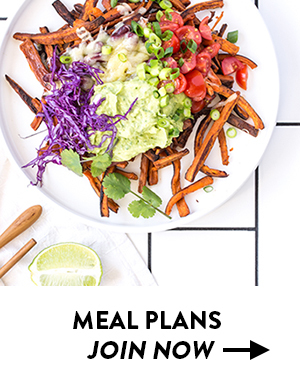 And like all of my recipes, you’ll only need a handful of simple ingredients and the process is very simple. 2 non-negotiables however are a high-powered blender and a nut milk bag. 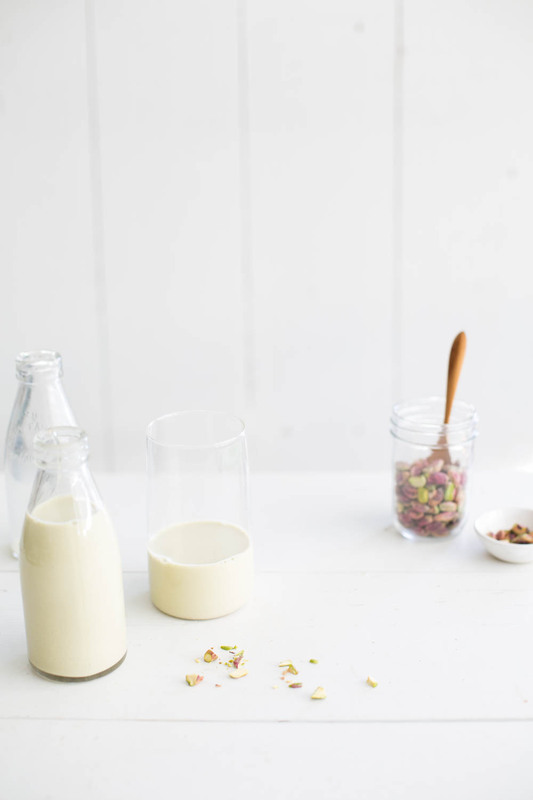 Partly because everyone makes almond milk and partly because I just love pistachios – is why I’ve created a pistachio milk recipe for you. Pistachios are actually related to fruit such as mangoes and peaches, and just as fruit and vegetables, they possess a wide range of vitamins, minerals, antioxidants and phytochemicals that your body loves! Just to name a few benefits, they’re a great source of healthy (monounsaturated) fats as well as plant protein, they contain natural plant sterols which work positively with our blood cholesterol levels and they contain resveratrol – the antioxidant made famous from red wine. Use this milk wherever you would use other types of milk – cereals, porridge, smoothies, baking, drinks – and don’t waste the pulp! Should you choose to enjoy this and other nut milks as part of your diet, I recommend to keep an eye on how many nut products you’re consuming overall because they all count. So using nut milk in your smoothie or muesli and then enjoying a handful of nuts or nutty bliss ball later on may be over-doing it for you. 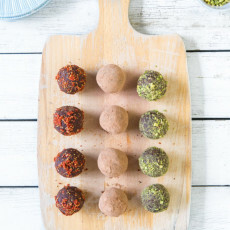 Pistachio + cacao = winning. So just a thought that this recipe may pair beautifully with pistachio milk. 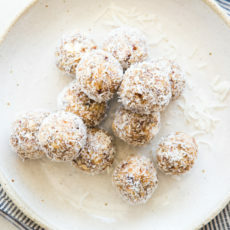 Remaining nut pulp can also be stored in an airtight container in the fridge for use in smoothies, raw treats or baking. Note however that this pulp/meal is a wet product. When using the milk from the fridge, you may need to shake it as the water can separate. 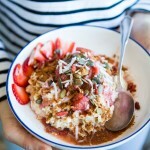 Use of a high powered blender and nut milk bag are unavoidable and make all the difference in this recipe. 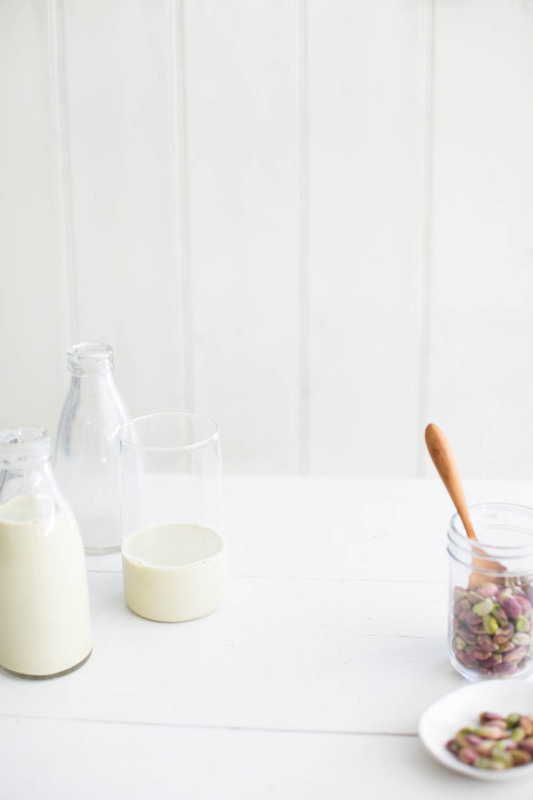 So will you be making your own nut milk? 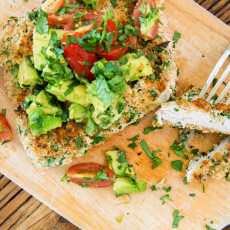 Be sure to bookmark this recipe and share it with someone else too. 2 Responses to "Pistachio Milk"
Do you know how many calories this would have? I’d recommend inputting the values into a reputable calorie counting app.